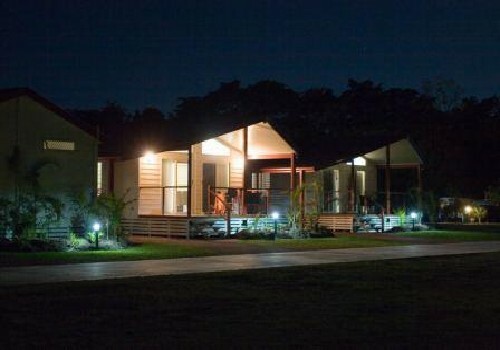 Set amidst 26 acres of beautifully landscaped tropical gardens the resort abounds with Australian wildlife including friendly possums to hand feed, wallabies and a multitude of colourful bird life. 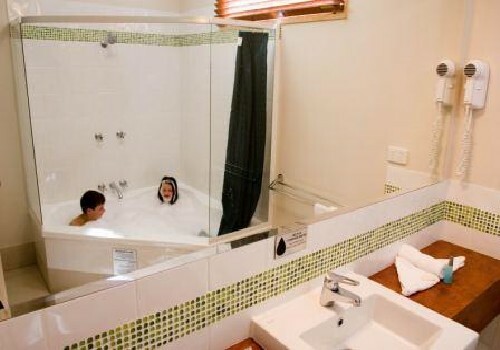 The focus here is on our guest's enjoyment and comfort. Pride is taken in doing just that bit extra in order to make your holiday truly memorable. The facilities and accommodations are excellent. From the magnificent pool to the huge individually landscaped sites and the diverse range of wonderfully appointed cabins, deluxe villas and cottages - attention to detail is paramount with every need being catered to. 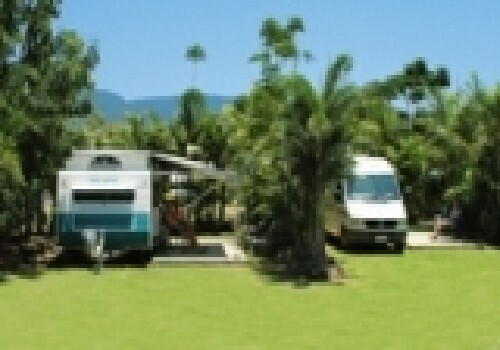 Adventure Whitsunday Resort Caravan Park is located just 4km from the town centre of Airlie Beach ... about 5 minutes by car. Heading North from Mackay on the Bruce Highway, you'll come into Proserpine. About 1km north of Proserpine is the turn off to Airlie Beach and the Whitsundays. Follow the signs for approximately 25kms and you'll come into the Airlie Beach area. Keep an eye out for Centro Whitsunday Shopping Centre on the left hand side - we are approximately 250m past this, on the left. Just look for the Big Green Frog! Heading South from Cairns/Townsville on the Bruce Highway you'll pass through Bowen. About 50kms south of Bowen is the turnoff to Airlie Beach and the Whitsundays. You'll travel about 20kms through sugar cane fields before reaching a T-junction. Turn left toward Airlie Beach. Keep an eye out for Centro Whitsunday Shopping Centre on the left hand side - we are approximately 250m past this, on the left. Just look for the Big Green Frog! 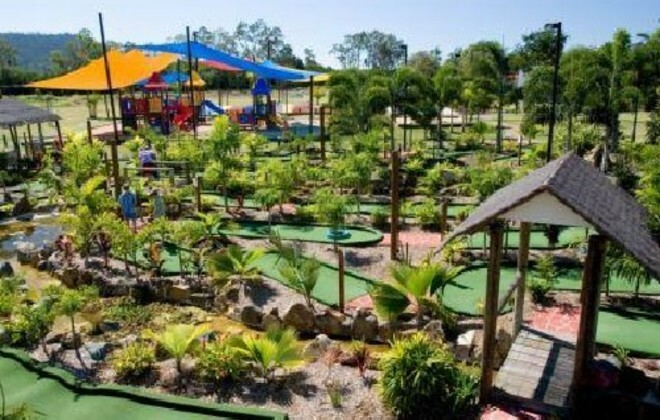 By clicking "Submit" you certify that this review is based on your own experience and is your genuine opinion of "BIG4 Adventure Whitsunday Resort" and that you have no personal or business relationship with "BIG4 Adventure Whitsunday Resort" and have not been offered any incentive or payment originating from "BIG4 Adventure Whitsunday Resort" to write this review. 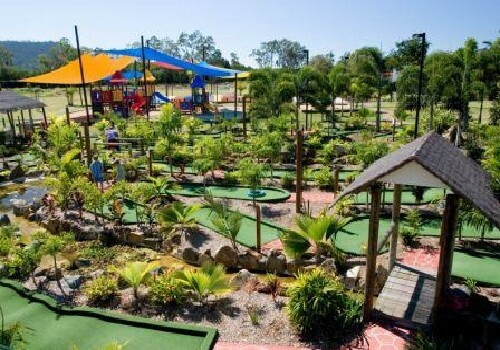 Very nice park, amenities are good size and very clean, van sites are drive through and lined with palms on each side for privacy, the staff are very helpful and friendly. 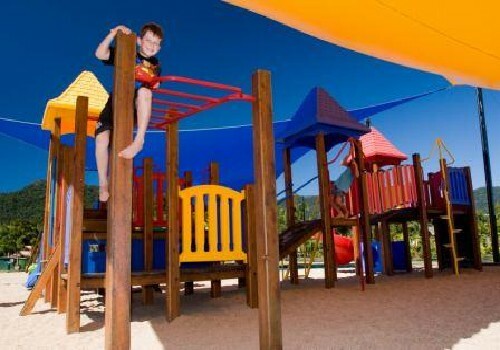 The park is well setup for children to be kept busy.